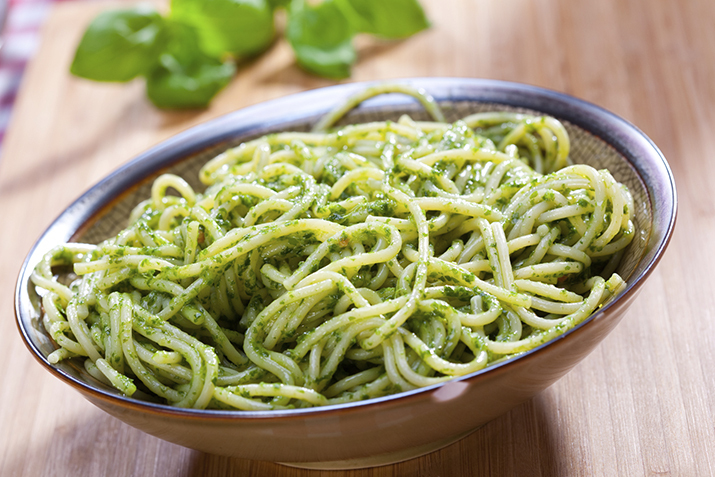 A deliciously rich and creamy pesto. Great on pasta, pizza, fresh bread, fish or steamed veggies. Combine basil, nuts, and garlic in a food processor, pulsing to form a coarse mix. Add cheese and salt and blend, slowly adding oil until pesto is smooth. Add more oil if needed.